So wrote Ernest Hemingway in an article for Esquire magazine in 1934 and it applies not only to novels, but to poetry, theatre, and stimulating discussions, and there will be plenty of all these on offer, and more, at the 2012 Cúirt International Festival of Literature which runs from Monday April 23 to Sunday 29. The festival programme was launched on Tuesday in the Oyster Bar in the Hotel Meyrick by the Mayor of Galway Hildegarde Naughton. Among the highlights of Cúirt 2012 will be readings by Cloud Atlas author David Mitchell, leading Irish novelist John Banville, popular American poet Billy Collins, and leading Irish poet Paul Durcan. The festival will receive its official opening in the Galway City Museum on Tuesday 24 at 6pm. The headline readings at Cúirt take place in the Town Hall Theatre at 8.30pm from Tuesday 24 to Saturday 28. The first reading is a major summit of Irish poets with Paul Durcan and Rita Ann Higgins sharing the stage on Tuesday 24. 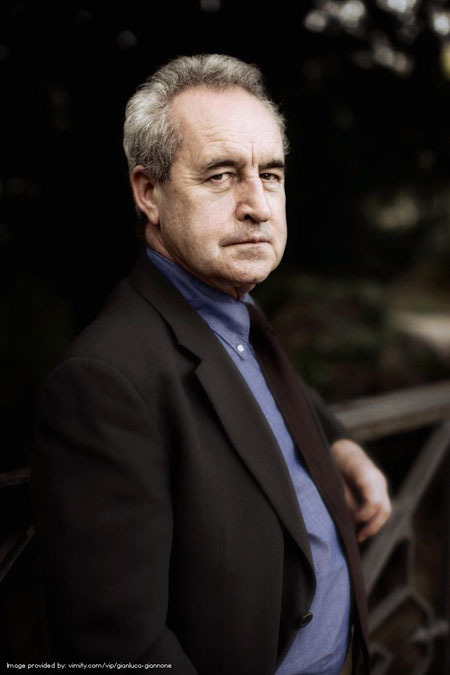 On Wednesday 25 John Banville, author of The Book of Evidence, The Sea, and The Infinities, and a dabbler in crime fiction under the Benjamin Black pseudonym, will be reading from his work. He will be joined by Richard Beard, the author of Muddied Oafs, which the author describes as “my gesture of gratitude and enduring love to the sport of Rugby Union, the greatest outdoor team game on earth”. He has also written novels and is the director of the National Academy of Writing in London. On Thursday 26 there will be a reading by Ruth Padel and Christopher Reid (see Theatre and Exhibitions ). On Friday 27 Billy Collins and Tess Gallagher will take to the stage. Collins was Poet Laureate of the United States from 2001 to 2003. He is also a distinguished professor at Lehman College of the City University of New York, as well as being the Senior Distinguished Fellow of the Winter Park Institute, Florida. His books include Ballistics (2008 ), The Trouble with Poetry (2005 ), Picnic, Lightning (1998 ), and The Apple That Astonished Paris (1988 ). There is a treat in store on Saturday 28 when David Mitchell will be reading. Mitchell is one of the great British novelists of recent years who has both delighted and impressed the critics and the public with a series of bold, imaginative, muti-genre postmodern novels such as number9dream, Black Swan Green, The Thousand Autumns of Jacob de Zoet, and the breathtaking Cloud Atlas, which manages to be both a short story collection and a novel. Cloud Atlas, number9dream, and ...Jacob de Zoet have been nominated for Booker prizes. Read next week’s Galway Advertiser for an extensive interview with David Mitchell about his life and work. On the night he will be joined by Simon Van Booy, author of The Secret Lives of People in Love, Love Begins in Winter (winner of the Frank O’Connor International Short Story Award ) and the novel, Everything Beautiful Began After. Another reading to look out for is by American author Amy Bloom on Saturday 28 at 1pm in the Town Hall. She has written two novels, three collections of short stories, and is a nominee for both the National Book Award and the National Book Critics Circle Award. Her new collection of short stories, Where the God of Love Hangs Out, is out now. More magazine has called her fiction “densely detailed, wryly funny, and provocative” while The New Yorker said she “gets more meaning into individual sentences than most authors manage in whole books.” She will be joined by short story writer and novelist Lydia Davis. The short story writer Louise Stern will give a multi-media performance of her work during Cúirt [see Charlie McBride’s interview with her on the next page]. Cúirt was founded by writer Fred Johnson in 1986 as a poetry festival and although its remit is much wider these days, poetry still forms an essential part of every Cúirt. Aside from the above mentioned poets, other readings include Lavinia Greenlaw and Fiona Simpson in the Town Hall Theatre on Thursday 26 at 6.30pm; Jacob Sam-La Rose and Brian Turner in the Town Hall on Saturday 28 at 6.30pm; Gerald Dawe will launch his Selected Poems in the Town Hall bar on Friday 27 at 5pm; Galway poet Sarah Clancy will launch her debut poetry collection in the Galway Arts Centre on Sunday 29 at 3pm. The grand final of the Cúirt poetry Grand slam will be held in the Róisín Dubh on Saturday at 3pm. On the same day, also at 3pm, there will be a panel discussion on poetry in the Town Hall, involving the Jade Ladder Trio. The Blue Note bar will hold a Poetry A La Carte event on Sunday 29 at 8pm, mixing poetry and theatre. Earlier in the day at 12 noon Doire Press will hold the literary brunch, involving poetry, prose, and music in Viña Mara, Middle Street. The festival opens on Monday 23 with an exhibition and two theatre shows. An exhibition of paintings by Brian Bourke, inspired by the work of William Blake, opens in the Norman Villa Gallery at 6pm and runs throughout the festival. PERVE by Stacey Gregg takes place in the Nuns Island Theatre each day of the festival at 5pm. It is staged by the BA Connect Drama NUI Galway and directed by Andrew Flynn. PERVE centres on a young filmmaker Gethin who wants to conduct a social experiment. He is fascinated by the public fascination and outrage over paedophilia so he asks his sister Sarah to spread rumours about him, believing his likely ostracisation when he has committed no crime will vindicate his theory: that the accused is guilty until proven innocent. However things do not go according to plan and Gethin may not be what he seems. Breathing Corpses by Laura Wade is also in the Nuns Island Theatre at 8pm each day of the festival. Wade’s 2006 play sees hotel worker Amy discover the body of a man who has killed himself due to the psychological stress of having discovered the body of a murdered girl. Possibly one of the main theatre events of the festival will be Mephisto Theatre Company’s stage adaptation of Ruth Padel’s poetry collection Darwin - A Life In Poems at the Town Hall Studio at 8pm from Tuesday 24 to Saturday 28. Padel is the great-great-granddaughter of Charles Darwin and so was well placed to write this poetry-biography of the great scientist. She is also a respected writer on literature, rock music, and traditions and religions. She will be in Galway for Cúirt to read her poetry in the Town Hall Theatre on Thursday April 26 at 8.30pm where she will be joined by British poet, essayist, cartoonist, and writer Christopher Reid. Other events to look out for include a panel discussion on minority languages and Basque and Galician identity in Spain with Manuel Rivas and Kirmen Uribe in the Town Hall Theatre on Friday 27 at 6.30pm. On the same day at 10pm Manuel Rivas will launch his new book, The Disappearance Of Snow in the Town Hall bar at 10pm. There will be a major discussion on the physical book versus the eBook on Thursday 26 at 1pm in the Town Hall Theatre with publishers Eoin Purcell and Michael Bhaskar and designer Matthew Young. Full programme information is available at www.cuirt.ie and bookings for all events can be made through the Town Hall Theatre on www.tht.ie or 091 - 569777.